Brand new addition to the minis family: You Are Here Ornament – Turkey. Again, and this is true for all YAH Ornaments, it is a complete copy of the regular mug. 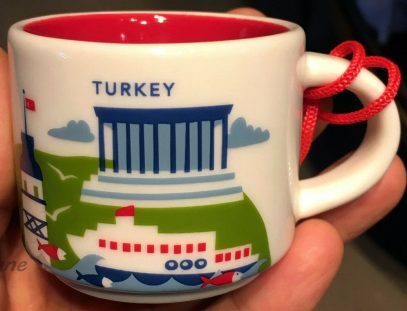 You can see Anıtkabir (literally, “memorial tomb”) – the mausoleum of Mustafa Kemal Atatürk on the front of the mug.